Well,as i promised i am back with the surprise(s) now.There are lot of reasons for me to celebrate in my blog,let me explain it first. I have started my "Kalalayaa's school of art" on Tamil new years days,that is on April 14th,so its anniversary of my art school this month. I am very close to reach 200 followers n 2,00,000 hits in my blog.wow,...thanks for all your support and a special thanks all my lovely followers/friends:).I know there are blogs with thousands of followers n lakhs of hits,but its quiet a small achievement for me:)). (approximate hit per day in my blog is 400 n per month is 10,ooo.Thanks to all the visitors,hope my blog is quiet helpful n informative for you all,i really to my best to update all information's here. June 9th is my blogs 2nd year anniversary,so its going to be celebration time till june:)). 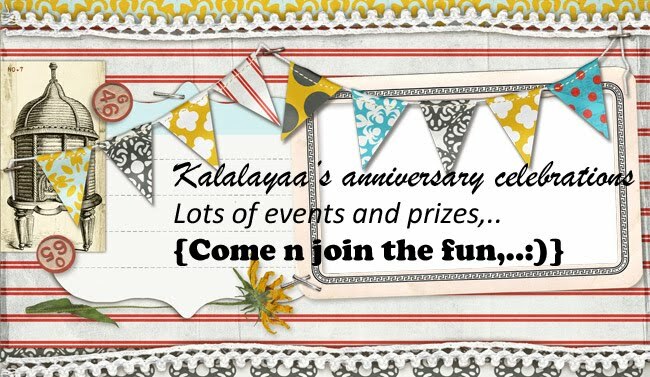 i have started a new venture "Kalalayaa's handmade gifts",were some really cool and different handmade gifts will be available,to know more about my New store,continue reading HERE,.. 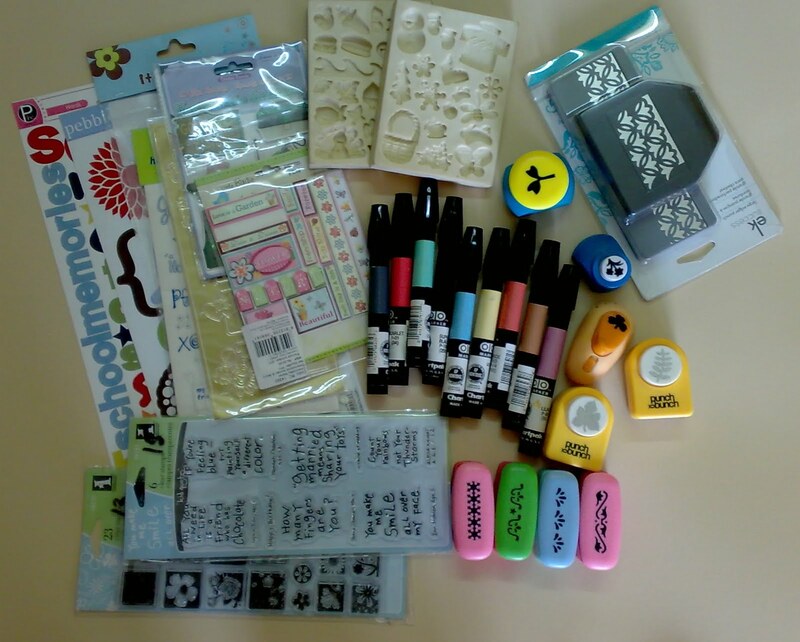 The candy includes a EK success deep edger border punch,jef border punches,punch bunch punches,markers,2 set of acrylic stamps,aset of moulds,and lots of stickers,.. This is going to be the second prize,in order to win this please refer in the comment that you do quilling already,or like to start quilling from now on,because giving it to somebody who is not into quilling or not interested in quilling doesn't make any sense to me. Become a follower of this blog and my CRAFT STORE blog,if you are not already. LIKE my face book page HERE,..
Post the candy in the side bar of your blog with the link back to this post. Post the celebration badge too in the side bar of your blog with a link back to this post. Leave the link to your blog in Mr.linky, and be sure to leave a comment also as mr.linky sometime crashes. Candy is open till june 8th,a winner will be announced on June 9th,that is on my blog's anniversary day.I know its quiet long,but there are lots more of other prizes to win till june,so keep watching my blog. People who don't have a blog can still enter,leave your e-mail id in the comment section. WOW!!! Kudos on your endeavors... God Bless!!! Congratulations ! There are so many reasons to celebrate. So good to see such accomplishments. Hope you have a lot of success in future as well. You have some awesome candy on offer. Thanks for the chance to win. I've fulfilled the conditions and yes, I do paper quilling as well. well congrats kavitha on accomplishing so much and good luck for all your future projects.i love the candy thats on offer and please include me for the quilling as u know i am very much into quilling.and i have done all thats needed so thanks for the chance to win. congrats for... well, everything! wishing you many more reasons to celebrate. Thnx for giving us a chance to win ! 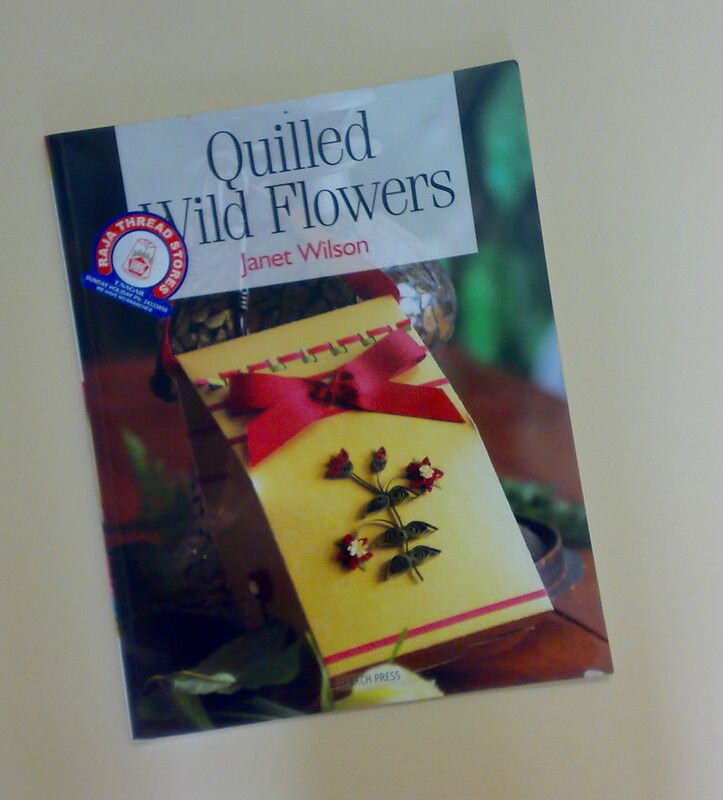 thats really good news and thanks for such wonderful candy.I love quilling as you know very well so would really like that book. and also all the other stuff. good going kavi! congrats for all your achievements and all the best for ur future projects!! thanks for sharing all the good ideas through your blog!!! my blog is http://dipti-myart.blogspot.com/ do have a look sometime!! Congrats for all ur achievements and all the best for future projects!! omg ! thats so kul ! i just saw this candy in some sidebar .. my eyes were like wide open ! amazing .. like i told you today on phone ! n yes i love quilling but not that much so i wun be up fer it ! congratulations!! thats a lot of Achievements ! M came through ICR , and was Caught by Pleasant surprise at such a g8 job ! Followed u here , FB and Ur other blog. superb candy,want to win it ! beautiful blog !! Congratulations on all the milestones!! Wishing you success. Hi Kavitha... Congratulations on this achievement !!!! I am very new to the blog world and putting a candy on display in my blog for the first time.. And yes I take interest in quilling too... Let's see how my luck turns out to be..
Congratulations on your 2nd anniversary.....wishing you the best of luck for many more such milestones. I came across your blog through craftziners. Loved your work.....toooo good. I have a question though....how can I add your badge to my blog post? hey ! !how cm i'm late ! !i'm in there too !! congratulations! and thanks for the opportunity! Congratulations on your 2nd anniversary! wishing u luck success and happiness and many more milestones! and the candy is really yummy! thanks for the chance to win! Thanks for the chance to win this sweet candy!!! Have done all steps mentioned above other than adding the badge..as I am completely new to blogging world..will add as soon as i learn it ..to make me eligible for this candy. I am complete amateur compared to beautiful crafters around, but I am sure your candy will definetly help me pursue my recently rekindle passion for crafts.Do visit my blog http://kreativehobbycrafts.blogspot.com and give your valuable suggestions. Looking forward to receive this candy. Congratulations on this wonderful year of yours ! Congrats Kavi... you are doing a fab job... keep up the great work and wishing you all the very best for your future!!! Congrats on your blog anniversary..you are doing a wonderful job..wish you success to reach greater milestones in the world of arts and crafts:).. I have followed all the rules:).. and of course I love Quilling a lot as you can see from my blog http://priyaskraftkorner.blogspot.com. almost all my cards have a quilling on it..many thanks for the wonderful chance to win..congrats again. My congratulations and best wishes all the best!! Your work is wonderful! 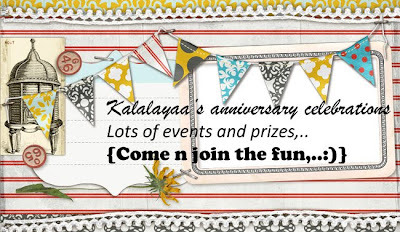 Congrats kavitha for the blog anniversary.. All the best for ur future works. love ur works and ur blog, would love to see u soon in kalalayaa... Thanks for a wonderful blog candy.. wow!! hey congratulations for your anniversary!! Thanks for nice candy!! congratulations, thats a lot of Achievements ! I landed in time to end your celebration I guess. Congratulations on all your achievements. I enjoy quilling. Thanks for the opportunity to win. my heartiest congratulations on your success... you have truly achieved a milestone.. I just love all ur creations and your craft store.. Please consider me also for your blog candy.. I don’t have a blog please let me know if anything else is to be done..
congratulaions for ur acheivement kavitha ..im in to quilling from 4yrs .